When involved in a collision, those involved are often biased regarding who caused the accident, who’s legally at fault, and what the specific details of the accident were. After all, nobody wants to shamefully admit they were the issue. Quite frankly, many automatically believe they aren’t the cause of an accident because they focus on what the other(s) did wrong. After being involved in a car accident, speaking to witnesses is a critical step that could determine whether or not you receive compensation or are the one that pays up. Witnesses, while not everyone is lucky to have them, can also open your eyes to the non-biased perspective of someone who saw the scene from afar. How far were you from the crash? Asking where the witness was before the car accident is important as it can indicate whether or not they are a quality eye witness. While one might believe all witnesses are good witnesses, not all will have had a good view of the scene and therefore may not be able to provide the right information. For instance, if the witness was five cars behind the accident, they might have only heard it and saw nothing. If the witness had just pulled up after the accident or right as it was occurring, they may only have information regarding where the locations of the vehicles were, who helped, what damaged had been done, and the like; they may not know the details of the accident. Do you know anybody who was in any of the vehicles involved? One of the main reasons it’s important to gather information from witnesses is because they are unbiased. However, if the witness knows someone in one or both of the vehicles, even if it is just a passenger, this could impact how they give their perspective as a witness, thus making them appear biased. If the witness doesn’t know anyone involved in the collision, they will be more likely to provide a fair interpretation of the scene and will be able to specifically focus on the nature of the accident more so than who will be personally impacted more if they are deemed at-fault for the incident. Who do you believe was at fault? Knowing who was at fault for a car accident is not always obvious. Everyone actually involved in the accident first hand might even have a flawed perspective of what truly happened if they weren’t completely paying attention, fail to see the accident from multiple perspectives, or experienced panic or anxiety during and/or after the incident. While only a police officer or other professional will be able to say for sure who was the person at fault for the accident, having a witness or few explain who and why they believe one of the vehicles was at fault will still be considered. What color were the traffic signals at the time of the collision? Knowing what the traffic signals, if applicable, read at the time of the collision is important. Asking a witness what color the signal was can determine if one of the vehicles ran a red light, for instance, that could have caused the accident. But failing to follow the traffic signal may not be an issue with any vehicle involved. For instance, if there was a traffic light blackout or other issues, the city will be at fault. Additionally, if there was a pedestrian jogging across the street when their light was red, and a car had to swerve out of the way to avoid them, only to hit another car, the pedestrian would be at full or partial fault. What did the vehicles look like before and after they collided? Not all witnesses will have a clear view of the collision before, during, and after the event. However, any details the witness may have regarding what the vehicles looked like will be important for documentation. 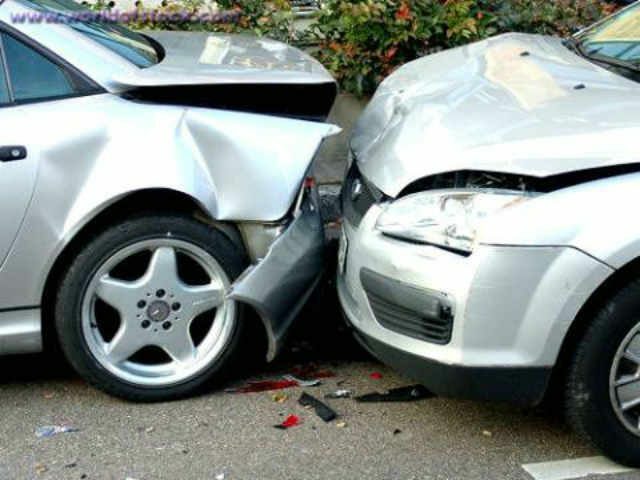 For instance, if the witness can describe the placement of each vehicle before and after they collided, this can provide crucial clues to who may be at fault. If a witness can also explain if any debris flew due to the accident and what the damaged looked like after the collision versus before (e.g., if any of the vehicles already had damage prior to the accident) is also vital. How fast do you believe each vehicle was going? The speed of each vehicle before the collision took place is important. If one or multiple vehicles involved were speeding or driving too slowly, this may have impacted why the accident occurred to begin with. Knowing the approximate speed of each vehicle can be vital when it comes time to properly prosecuting the one at fault. Witnesses may not have a range of how fast the vehicles were going, but scanning the road, it’s typically easy to determine if a vehicle is going too slow or too fast for the road’s current conditions (e.g., school zone, rainy weather, lots of other vehicles on the road, etc.). What were other drivers doing right before the accident? Sometimes the nature of a car accident does not just involve the vehicles that actually collided. Sometimes other drivers can cause an accident, even if their vehicle comes out with zero scratches and/or they flee the scene. As an example, if a vehicle cut off a truck and then that truck swerved and slammed into another vehicle, it would be the driver of the vehicle that cut off the truck who would be at fault. Are there any other specific details regarding the accident you’d like to share? Every vehicle collision is different. Some collisions might contain basic details while others may have a complex jumble of information that might make it difficult to decide who was truly at fault. But the more information that can be collected, the better. Other details your witness might provide might be the license plate number of a vehicle that fled the scene who may have been directly or indirectly involved, the exact time that the accident occurred, and whether or not there were objects or animals around that may have contributed to the accident (e.g., a dog running out, a ball rolling into the street, etc.). Did you notice anybody else nearby who might be witnesses? If your witness was looking around at the time of the collision and happened to notice other individuals reacting to the collision (e.g., getting out of their vehicle to help, taking photos of the scene, etc. ), it’s important for your witness to let you know who the other witnesses might have been. Remember, the more witnesses you have, the more accurate the information that will be collected regarding the accident, and thus, the better the justice. Lastly, it’s important to collect the contact information from witnesses. If you require more information from them or if the police or court need to speak with these witnesses for more details, having contact information at hand can provide easy access. Contact information should include the witness’s name, address, e-mail, and phone number. Reach out to Beninato & Matrafajlo accident attorneys for more legal information regarding car accidents. While not every car accident has third-party witnesses, when they do, it’s crucial to ask the right questions. The information you collect from witnesses can make a big difference when it comes time to filing the police report and making a claim as witnesses tend to have an unbiased perspective and can confirm or deny details of the incident.